(born: 1956) Lillian Nareen White was an outstanding athlete in track and basketball at Georgetown High School [the school merged into Scott County High School in 1975]. It has almost gone unknown that she was the first African American female basketball player at the University of Kentucky (UK). She had been better known in Georgetown, KY, where Lillian ran track while a student in the 7th -12th grades. During the summers, she trained with the Kiwanis' Track and Field Club. Her summer coaches were Sandy Perkins and Barbara Jean Call. Lillian was undefeated in the 800 meter run during the regular track seasons, all six years. She holds the Scott County High School record at 2:23.5 (05/05/1971) [source: Scott County Invitational, KTCCCA Sponsored Championship Meets (online)] She also ran in the 800 medley relay, and she did high jump and long jump. For five years in a row, she won in all of her running events at the state tournament, she was undefeated, and she went to the state every year in long jump. During her senior year, Lillian pulled a hamstring and was not able to attend the state track competition. Her high school track coaches were Bob Ramsey, Bob Saver, and Kathy Reagan. 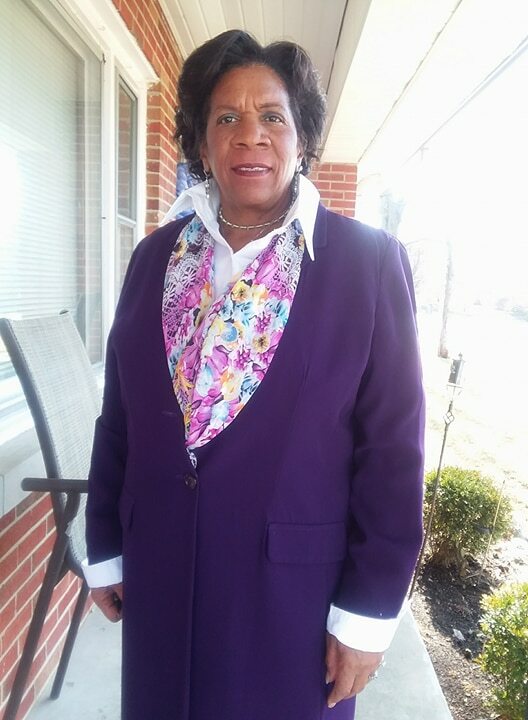 Lillian was recruited for the women's basketball team at the University of Kentucky, where she enrolled after graduating from high school in 1975. She was a scholarship player, and came to UK as a Kentucky West All Star. Her coach was Susan B. Feamster. Lillian played defense; she came into the game off the bench as a guard or forward. She completed the basketball season and stayed at school during the spring semester. In the Spring of 1976, Lillian was selected to tryout as an alternate for the U.S. Olympics Women's Basketball team. She represented Kentucky. The coach of the team was the late Pat Head Summitt and the tryouts were held at the University of Tennessee in Knoxville, TN. Lillian didn't make the team, but says that she was honored to have been given the opportunity to tryout. Meanwhile, back at the University of Kentucky, Lillian was having second thoughts about UK. The campus was large and being the first and only African American on the basketball team was more than she had prepared for in going to college. She had also tried running track at UK, but that too did not work out. During the summer of 1976, Lillian left UK. She transferred to Eastern Kentucky University (EKU). Lillian set out the fall term of 1976 and started classes at EKU in the spring of 1977. She was a walk-on on the women's basketball team in the fall of 1977 and she continued playing until the spring of 1980. She had a partial scholarship. She also ran track: 400 meter hurdles and was one of the top Ohio Valley Conference contenders; the mile relay; and cross country. At the end of the 1980 spring term, and while still in Richmond, KY, Lillian joined the U.S. Army. She played basketball while enlisted. In 1985, Lillian N. White received an Honorable Discharge at Fort Ord, CA, and she returned to Kentucky. Lillian worked for the Lexington (KY) Parks and Recreation Department. She worked with Jackie French, who supervised the Dirt Bowl Basketball Tournaments. Lillian and Jackie French were the only two women to coach basketball for the city. They had the top two teams in the children's inner city league. Lillian's team was named the Lakers. Outside of work, Lillian also stayed active participating in races such as the Bluegrass 10,000. After a few years with Parks and Rec., Lillian went to work for the City of Georgetown (KY). She retired after 15 years of service, and now volunteers for Community Action Foster Grandmother. 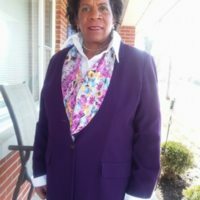 In 2018, Lillian Nareen White Washington was awarded a Trailblazer Award by Bluegrass Black Pride, Inc.
Lillian Nareen White is the daughter of Letitia Dalton White and Thomas White Jr. She is a sister to Thomas "Tommy" White III, who was inducted into the 2017 Hall of Fame at Scott County High School. *Her middle name has sometimes been spelled "Noreen." See Nareen White in the track team picture, 1980 Milestone, EKU yearbook, p.169. See Nareen White in EKU Women's Basketball Team picture on p.153 in 1977 Milestone, EKU yearbook. Image property of Lillian Nareen White. Provided by Lillian Nareen White. Used in NKAA Database with permission from Lillian Nareen White. “White, Lillian Nareen,” Notable Kentucky African Americans Database, accessed April 20, 2019, http://nkaa.uky.edu/nkaa/items/show/300003675.